WWE Quiz: Jeff Hardy - How Much Do You Know About Brother Nero? 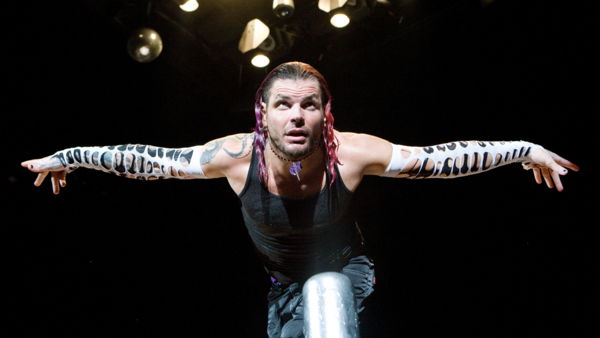 Jeff Hardy has had a rollercoaster career as a wrestler since debuting in the WWE at the tender age of 16 (although he told them he was 18 of course) as a jobber to the stars. The Hardy Boyz and the infamous Team Xtreme followed, before a breakout singles match against The Undertaker for the WWE Undisputed Championship. After some time away in ROH & TNA, Hardy returned to win the WWE & World Heavyweight Championships, and participate in memorable feuds against the likes of his brother Matt, Edge & CM Punk. A tumultuous TNA tenure came next where he made headlines for reasons both good & bad, before a triumphant WrestleMania surprise return alongside Matt in 2017, where they claimed the RAW Tag Team Championship on the Grandest Stage Of Them All. Nevertheless, just how much do you know about the Charismatic Enigma? Who did he and his brother beat to win their first WWF tag team championships? At which PPV did he win the WWE Championship? How many times has he been TNA World Champion? Test yourself against our quiz and find out... Answers at the end! 1. Who Did Jeff Hardy Debut In WWE Against In 1994 As A Jobber Called Keith Davis?